It’s a place that has gained some interest in the raw food world in recent years thanks to supporters like David Wolfe and the film crew of Food Matters (it’s listed in the Food Matters’ International List of Detox Centers). I felt lucky to find this place and get a feel for it myself! The best thing by far about Pachamama is the food: they have an amazing Israeli chef (Alon) who adds the best kept ingredient of all to his food: love and joy! You can definitely taste it! I was very impressed to see a 100% gluten-free and mostly vegan menu for all 3 daily meals offered at Pachamama and decent raw food options as well – there were always ample chopped and shredded raw veggies to make a yummy veggie salad with homemade tahini salad dressing that left me feeling happy and satisfied! For 80/10/10 folks, there is a store on the property that sells fresh fruit daily, so you can easily add more fruits to your daily intake. We bought fresh papaya, bananas and passion fruit to make an amazing fruit salad every morning. In addition, they have another small store selling superfoods, fermented coconut water (kefir) and goat’s milk and goat’s cheese for anyone who wants to add a bit more to their diet. Yummy Raw Cacao Frozen Dessert Bliss! The property itself is huge, and one thing I really like about Pachamama was the feeling of being in nature, with plenty of green jungle views and waking up to the sound of monkeys in the trees every day. It’s about a 1-hour walk to the beach (one-way); there is also a daily shuttle service to take you there ($3 pp) or the option of a private taxi ($40). While not an easy place to get to, a 7-8 hour drive from San Jose over some rough terrain, it’s a place to get away from the world, feel close to nature, de-stress and have access to healthy food. (Keep in mind, you can also fly there from San Jose, but there is a 12kg weight limit on the commuter planes). And the best part about the food at Pachamama: The raw cacao chocolate bar! Wow, what a creation! Every afternoon this seemed to be the place to congregate…people meeting over a frozen almond milk-cacao-date-tahini bar dipped in raw cacao and honey, all for $2.50 (by far, the best bargain there!). They also offer a juice fasting retreat: they call it the Body Cleanse, a 5-day organic juice detox held monthly at the center and run by resident detox experts at Pachamama. I was there during their January cleanse and had a chance to join some of the talks and speak directly with the detoxers. It’s a good program for a short, gentle cleanse. They offer all organic juices, daily enemas as well as daily nutrition and detox talks. The juice fast also includes a liver gallstone flush mid-way through the cleanse. My recommendation in doing their cleanse is this: Arrive 2-3 days before to relax, unwind and get a feel of the place. Do the 5-day cleanse, then stay an additional 5 days to eat the food and continue with your daily yoga and silent meditation practice. After all, if you are going to spend the time and money to get there, why not stay and enjoy? I highly recommend Pachamama as a health holiday destination for families with young children. With 26 children living on site and their own school, it’s a very kid-friendly place which is rare to find in the raw food and gluten-free world. Any parent of a gluten-free or celiac child would be grateful to find a place where their child can eat anything and also have other kids to play with too! Overall, I think Pachamama is a great experience, but it is important to remember that it is ‘an experience.’ Some people may feel overwhelmed but its remoteness or even intimidated by the ‘hippie-ness’ of the place, and for that reason I can say that it might not be everyone’s cup of herbal tea. I can assure that there were no naked people running around and the community is actually very organized and business-like, perhaps even too business-like for some! The prices are on the high side when compared to Thailand or with the rest of Costa Rica ($80-100 per couple per night, tax included, for a private room with bathroom), $40 to go to the beach (a taxi is the only option that fits into the detox schedule), extra costs for internet (the only place in Costa Rica where we encountered this, all other places we went it was free), and all food, raw food, etc is additional as well. (Note: They do offer camping at a reduced rate.) The cost of the detox does not include accommodation, and they have a rule of a 10-night minimum stay with all expenses to be paid 100% in advance and absolutely no refunds. My question to a detox guest would always be this: how do you feel now vs. how you felt when you arrived? 100% of the time the answer is always: I feel better, lighter, and more healthy. It’s important to remember that! (I did a few video interviews with Pachamama guests for my youtube channel, and even with just a 5-day cleanse, I was motivated to hear their stories of transformation!). Well, I still think back so fondly to the food and to waking up to the sounds of the monkeys…and I can appreciate so much what the community of Pachamama has created…after all, 13 years ago they arrived to the jungle with nothing and now have a beautiful thriving community with a gorgeous meditation hall complete with marble floors! It’s certainly been a lot of work to get to where they are today. If you have the money, I do recommend Pacahamama as a quiet place to be in nature, eat good healthy food and get to know some very interesting like-minded guests and volunteers on their work-exchange program. Costa Rica is such a short plane ride from the USA and Canada and so much cheaper than flying to Thailand. If you are looking for something different and want to try a new destination for your raw food or detox holiday, then consider giving Pachamama a try! One logistical note: There are actually 3 places in Costa Rica called Pachamama, so be sure you are going to the right one, and most important, be sure you have directions to the right one! Their website is: http://www.pachamama.com. Doing a Juice Fast Detox on your honeymoon?! Meet Lior, yes..on her honeymoon for a 5-day juice fast at Pachamama in Costa Rica! Hear her experience with the liver flush on Day 4, dealing with food cravings during her fast (pasta), her emotional release during the cleanse and how she is preparing for fertility by doing a juice fast with her newlywed husband on their honeymoon! Thanks Lior for sharing your story! Thinking about volunteering at an organic farm in Costa Rica? Meet Jenna from Canada; she came to Costa Rica to volunteer at Pachamama and decided to stay permanently! Listen to her talk about her first detox ever, how she dealt with hunger and how she managed to not cheat during the fast, her reaction from the liver cleanse, what her family thinks of enemas, what it’s like to volunteer at Pachamama and why she has decided to stay in Costa Rica. What a great woman, thank you Jenna! From feeling toxic to fabulous: Juice Fasting on Day 5! What’s it like for a regular guy to do a juice fast detox? No, this isn’t Joe Cross…but it could be! Meet Tim from Australia. He went to Costa Rica to do the 5-day Body Cleanse Detox at Pachamama after several months of toxic food eating in the USA. Tim talks about why he decided to do a detox, how stressful his life was prior to traveling, how he prepared for the juice fast, the mental discipline required to succeed, how he felt after the liver flush, his favorite part (daily yoga) and how now, on Day 5, he feels 20 years younger and went from feeling toxic to fabulous with just 5 days of a juice cleanse! Wow! This week it’s been reported that Jerry Hicks, the husband of Esther Hicks, is currently undergoing ‘massive chemotherapy’ for leukemia. Esther Hicks is widely known as the Teacher of Abraham who channels his message and spreads the idea of Law of Attraction around the world. She teaches her followers to ‘get in alignment’ with what they want by the power of their thoughts. Esther explains that if they are not experiencing the life that they want, it is because they are thinking about what they don’t want and therefore attracting more of it. Personally, I love Esther Hicks and her ability to teach how our thoughts can create a reality. I often quote her in my Twitter and Facebook feeds. She has a way of telling stories which is so genuine and always seems to be the exact teaching that I need. Whether or not she is actually getting her information from Abraham doesn’t worry me so much; I still value her message and I think it can help a lot of people. As for Jerry, we don’t know what he was in vibrational alignment with and what his ‘vibrational escrow’ was. Perhaps he had an underlying fear of cancer or dying his whole life. Perhaps he felt tired of being in the shadow of his wife and was building negative energies around that. Certainly having cancer has given him attention – maybe he was lacking that in his life too. What we do know is that he is human and he could have any or all of those energies, even with a great teacher by his side. What I do know about Esther Hicks is that she never talks about diet and the importance of food for one’s health. I have never heard her mention the need to do a physical detox or cleanse to clean toxins out of the body. She herself doesn’t have the ‘glow’ of health and vitality. Imagine if Esther Hicks ate a raw food diet and did regular colon cleansing – how powerful her vibrational alignment would be! 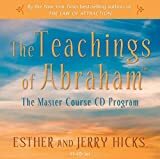 The lesson here is not to disregard the teachings of Abraham or to question the authenticity of Esther Hicks, but to understand how truly necessary it is to treat the mind, body and spirit. We cannot heal just the mind alone and we cannot heal just the physical body alone. Wayne Dyer, another well-known self-help advocate, announced in 2009 that he has chronic lymphocytic leukemia. There is a lesson here for us folks! Do the work, yes…but also eat the right foods too!! It would be a shame for someone to give up on the power of conscious thought just because of this. So stay in alignment with what you want – focus on it every day! And take care of your body too. Eat foods which are natural, whole and pure. Clean out the old built-up toxins and make way for a new healthy you! https://healthybliss.net/bliss/wp-content/uploads/2011/06/bodymindspirit.png 166 200 Jennifer Betesh https://healthybliss.net/bliss/wp-content/uploads/2014/11/hb_logo_01.png Jennifer Betesh2011-06-24 20:47:132014-11-14 08:27:02Jerry Hicks Has Cancer? Will Leukemia & Chemotherapy affect the future of Abraham-Hicks? Certified Iridologist, Healthy Living & Raw Food Coach Jennifer Thompson’s talks and workshops! Saturday, April 16, 2011 – 5:30pm. Free Talk! Have you wondered about the detox craze – what it is, do you need it, and how to do it? Are you ‘raw curious,’ wanting to know more about the raw food diet and how eating more raw foods might benefit you? Learn the basics and hear some amazing success stories on weight loss, natural healing and more! Superfoods – What they are, how to eat them, do you need them? Tuesday, April 19, 2011 – 7:30pm. Free Talk! Gain an understanding of the most popular Superfoods such as Acai powder, Goji Berries, Spirulina, Maca Powder, Cacao, Coconut Oil, Flax Seed, Hemp Seed, Green Powder, Kelp, Dulse and more! What About (dot dot dot)….? Wednesday, May 4, 2011 – 10:00am. Free Talk! Jennifer answers all the common questions and breaks down barriers, showing you how to make the best choices for your health with where you are in your life. Get answers to your concerns about…bread, coffee, white sugar, white rice, alcohol, meat, dairy, soy milk, tofu, sushi and more. Monday, April 25, 2011 – 7:30pm. Free Talk! A few simple lessons will help you start to understand the tricks that manufacturers use to sell so-called healthy food. It’s time to know what is really in your food. You can make better choices. Jennifer will show you how. Saturday, May 7, 2011 5:30pm. Free Talk! Wherever you are in the world, staying healthy can be a challenge, but especially in Asia. When you are living in a foreign place, where do you begin? Jennifer has lived and traveled in SE Asia for 10 years and can teach you some simple techniques for travel, eating out, making better choices for your family & understanding foreign food labels. Prepare yourself now for a healthy path for the rest of your life! Sunday April 17, 24 & 1 May 2011. 4:30pm – 6pm. Jennifer explains the importance of dark, leafy greens in the diet, explains why it is the missing link to good health, then demonstrates recipes and combinations of various Green Smoothies so you have a complete toolbox of information to take home and start Going Green! Private 1-hour consultations will be offered at the Mind Body Seoul Studio from 18 April, 2011 to 10 May, 2011 by Jennifer Thompson. During an Iridology session, Jennifer makes personalized recommendations for improvement, taking into account your current diet and lifestyle and whatever other factors may be presently involved in your condition. After the reading, you will have a better understand of your body and health and feel empowered and motivated to begin making positive change. Contact us to reserve your space or make an appointment! For more information, you can also go to the Mind, Body, Seoul website. Love is the first ingredient needed and perhaps the only ingredient necessary. If we feel loved, we make the best choices for ourselves. We feel supported and safe. We feel beautiful. We become more healthy instantly! Anger and hatred are deadly emotions. You know for yourself how tense your body feels in a moment of rage. Now, think of the words forgiveness, grace and light. Feel how your body lifts. Are you ready to forgive and leave that pain behind, once and for all? Letting go creates such a clean, open space to bring in more love, which is most likely exactly what you want anyway! A new year is a time for new beginnings and one of the best things about a new beginning is it creates an emotional clean slate. When you choose to only focus on the good and the love in your life, you naturally do not have room on your canvas for any negative energies. Remember, you are what you think! Your thoughts create your reality! This is what quantum physics and the law of attraction is all about. 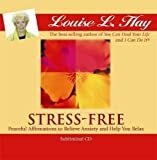 For more info, I recommend Esther Hicks ‘Ask and It Is Given’ and Louise Hay ‘You Can Heal Your Life,’ available in both DVD and in book format. Take a moment to feel that new clean space in your mind and in your heart. Feels great! Create it, see it, feel it, live it! Think about getting a special Manifestation Crystal to amplify your requests for life and positive change and help bring about very quick manifestations. It is a type of crystal which has a high energy charge, and is particularly effective in releasing energy blockages. See me in Samui to get your own personal Manifestation Stone! Happy is he whose wants are few. The fewer the wants, the happier the person. ‘Who doth not want many things is the king of kings.’ It is our wants that make us poor. One who has no wants is the richest person. During his sojourn in India, Alexander the Great went to see a Sadhu living on the banks of the River Beas, about whose supernatural powers he had heard a great deal. He found him sitting on a palm leaf under an umbrella made of banyan tree leaves. This was all that the Sadhu possessed. On being informed that he had passed all his life there and had remained there even in torrential rain, burning heat and piercing cold, Alexander asked if he could build a house for him. This he refused, saying, ‘Why build a house? Are we to live here forever?’ Then Alexander asked if he could do anything else for him. ‘Yes, please see that none of your men comes to me,’ he said. There is a God; the universe is not without a creator, Sustainer and Protector. He is the Ocean of Bliss. Our soul is, in essence, a drop from the Ocean of the Lord, whence it separated so long ago as to have totally forgotten its Divine origin. All its woes and miseries will end only when it returns to its original Home and merges with the Ocean. God is within us and cannot be realised anywhere outside.